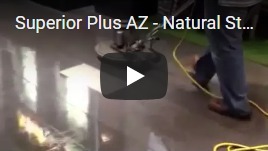 If you are searching for “tile cleaning” services in Phoenix, Scottsdale or Tempe, Superior Plus AZ can help! Superior Plus offers professional and affordable residential and commercial tile & grout cleaning, repair & restoration for all different types of tile including: Tile, Saltillo Tile, Travertine Tile, Slate Tile, Marble and Natural Stone tile flooring. Get a free tile & grout cleaning quote in Phoenix, Scottsdale or Tempe by giving Superior Plus a call today at 480-835-6526. Tile floors can enhance the interior of any home in a major way. Over time tile can get dirt into its pours which caused the appearance of your tile and grout to degrade over time. Having the right company restore your tiles can bring their appearance back to the state it was in right after they were freshly installed. We provide full-service tile cleaning for your home or office with professional deep cleaning, steam cleaning, machine scrubbing and more. 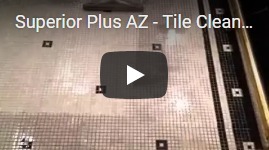 Superior Plus is the #1 Tile restoration company in the Phoenix, Arizona Valley offering tile restoration, repair and replacement. Are those cracked tiles in your home or office driving you crazy? We can help repair cracked tiles and replace them with new ones. Grout, by nature, it porous and will absorb mildew, dirt, lime scale and mold. This will leave your grout looking dark and dirty. When this happens, the only next step is to hire professional grout cleaning services. Regrouting tile involves removing existing grout and restoring it with new grout. This will help enhance and improve the look of your tile. This is for grout that won’t become clean anymore. Is your grout grooved or cracked in some areas? Don’t wait too long to repair your grout. This can leave your sub-floor exposed to water damage and mold. If you need deep tile cleaning for your home or office give us a call to discuss your needs. Allow our professional team of tile cleaners to take care of your tile while you take care of business, or kick back and sip your coffee while we work. We clean all types of tile flooring including saltillo tile, natural stone tile, and all other types of tile floors. There is no job too big for our conscientious and enthusiastic team! Professional tile cleaning & grout cleaning brings life back to your damaged and dirty patio tile floors, at affordable prices. Don’t waste money replacing tile until you’ve had us inspect your tile and offer cleaning and repair options. Having a restoration service performed will also prevent the desire to replace the floor in its entirety, which will save you a metric ton of money. When your tile floor is shinning and glimmering every decorative element in the room is given new life. It’s like putting a nice frame on your favorite picture; it gives it a whole new feel while retaining the original appeal in full. A tile floor represents a large investment in the aesthetic of your home. Get the most out of your investment by restoring your tile floors to their original state! 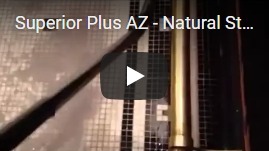 If you would like to receive a free tile & grout cleaning quote in Phoenix, Scottsdale or Tempe, give Superior Plus a call today at 480-835-6526. 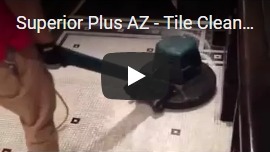 If you are searching for "tile cleaning" services in Phoenix, Scottsdale or Tempe, Superior Plus AZ can help!